Do you find yourself constantly making small tweaks here and there in your PPC campaigns? As most PPC experts would agree, this could get frustrating rather quickly. There’s a lot of manual intervention required if you want to get the most out of your budget. Thankfully, Google Ads now come with automated tools that allow users to enjoy the many benefits of automation. In case you didn’t know, Adwords was recently rebranded to Google Ads. Alongside this name change comes an array of new updates, all of which are geared toward helping PPC professionals and account managers make improvements on their campaigns without putting in much additional time and effort. These automation features prove to be exciting particularly because Google promises that they will deliver the same high-quality results with less work. Of course, you can’t expect their machine learning algorithms to do all the work for you. It’s important that you learn what these features are, what they can and cannot do, and how to incorporate them into your daily routine to provide the best results. Whether it is your first time to use Google Ads or you’re a time-tested veteran, this guide aims to help you get acquainted with the different automated tools and how to get the most out of them. 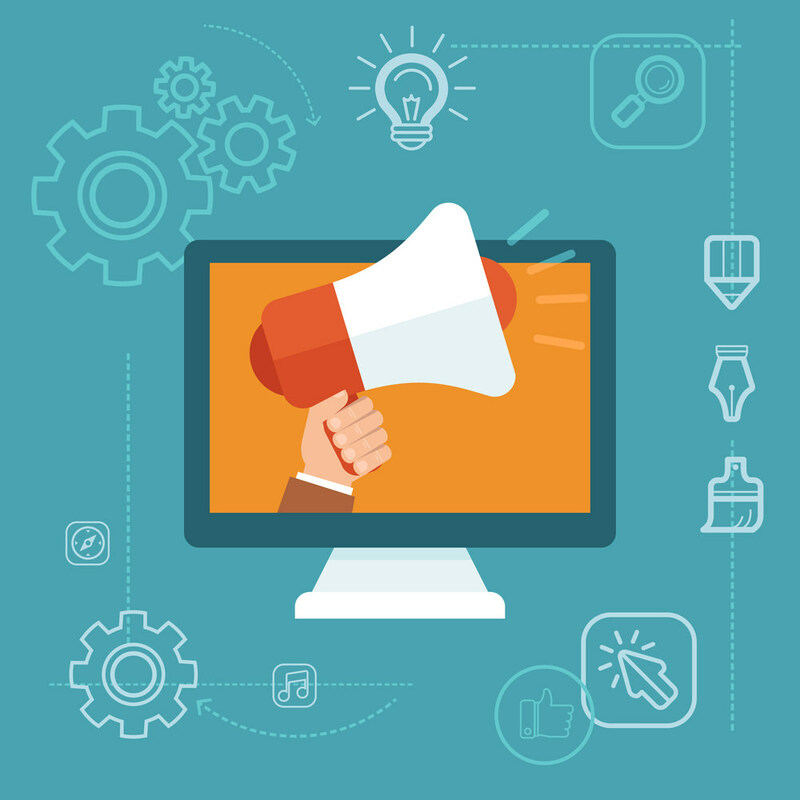 The latest addition to Google Ads’ automated tools is called Smart Campaigns. This type of automated campaign is specifically designed for small businesses and built on top of AdWords Express. Although small businesses have already enjoyed increased traffic and sales by using AdWords in the past, Smart Campaigns aims to produce better results. According to Google, Smart Campaigns will be the default campaign type for all new users. For existing users, this will be set as the default if they have chosen Local Service Ads or AdWords Express before. It is worth noting that these two campaign types can still be used right now even with the introduction of Smart Campaigns. Small businesses can still decide to use the full Google Ads experience. Basically, you have the option of choosing the perfect level of automation based on your unique requirements. This allows you to customize your level of control over your campaigns and decide where to use machine learning to speed up the process. The basic automated features of Smart Campaigns include automatic targeting and automated goals-based bidding. But what’s more exciting is the fact that this campaign type can automate the generation of ads and landing pages. These will be created using existing data from Google My Business. This is another testament to the importance of using structured data and keeping your business details in Google My Business up to date. As the advertiser, you need to set your budget, language, and target location yourself. This might sound cumbersome, but you probably won’t need to change these settings once your campaign has started. Google has simplified the process of starting a PPC campaign especially for beginners, and the improved results promised by Smart Campaigns will surely attract more advertisers to try it out. This campaign type has been around since May 2015, but Google has recently introduced some neat changes to help users get more installs and higher in-app conversions. Interestingly, Universal App Campaigns is the first Google Ads campaign type to be fully automated. Users have raved about how easy it is to set up a campaign and then watch it drive conversions with minimal intervention. When using Universal App Campaigns, you do not have to worry about bidding and targeting. Google does all this for you in addition to creatives. Of course, the system works by following the budget you set for your campaign. Universal App Campaigns also relies on structured data to make informed decisions on bidding and targeting. This is why you should look at the structured data of your app listing. This simple step proves critical in automating the production of creative elements. Universal App Campaigns are largely automated, but you still need to put in some manual work. When starting a campaign, you must select your daily budget, location, language targets, and a target cost per result. Google also requires you to share ad text ideas and optional videos, images, and HTML5 media formats to make it easier for their automated ad-generation tool to make creatives. It is also critical to improve your app listings both on Android and iOS. This is because the creatives are derived from your listing in the app store. Take some time to learn about managing structured data so you can make the necessary optimisations to your app listing. While Smart Campaigns make it easier for small businesses to get into PPC, Shopping Ads are helping retailers boost traffic and sales. It is interesting to learn that Shopping Ads now account for 60 percent of the total clicks on Google for retailers. That is a staggering number, one that will surely compel more retailers to start a shopping campaign to increase their bottom line. More and more businesses are introducing their products to the online world. For account managers, this means managing shopping ads for hundreds or even thousands of different products. 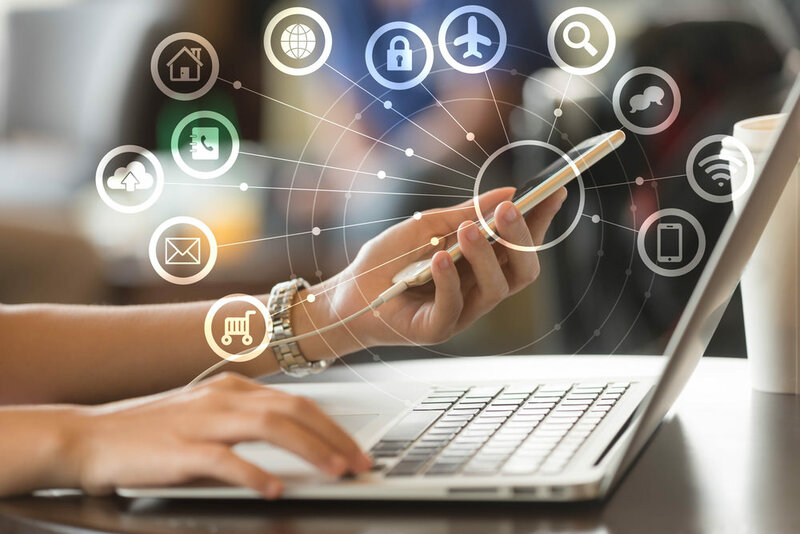 Google’s latest updates on Shopping Ads aims to help advertisers have an easier time managing their campaigns without compromising results. This campaign type works best if you already used a previous PPC campaign. The reason for this is that it uses data from your last 20 conversions. Shopping Ads work by running product ads and remarketing ads on the display network. To determine the most cost-effective bids, your last 20 conversions will be used as a starting point. This means you do not even have to manually input your own bids. But if you want, you can optionally set your return on advertising spending and the Shopping Ads will be automatically adjusted based on your criteria. If you are not new to retailing, then you probably know that your margins for each product may vary. Because of this, Google suggests setting up a separate campaign for different return on advertising spending targets. This allows you to maximize your profits, not just your conversion value. By using multiple campaigns instead of finding a one-size-fits-all solution, you may see significant improvements and higher sales. You should also be careful when analyzing data about remarketing. It is possible that your remarketing data skew the numbers, which could mean they are not as good as they look. Since Shopping Ads use remarketing ads, you should determine the number of new customers they deliver and how many have returned to your site without clicking on your ads. 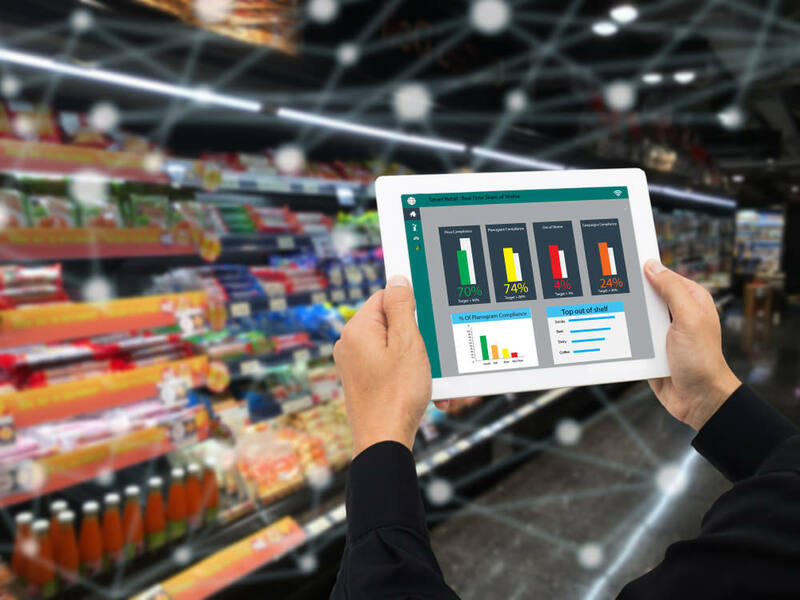 Following the trend of the two aforementioned campaigns, you should take the time to optimise your structured data, particularly those found in your Shopping feed. Google Ads now features seven automated bidding strategies, all of which cater to the varying needs of advertisers. Out of the seven, three leverage a technology called Smart Bidding. This is Google’s way of using machine learning to determine which clicks will drive the most conversions and conversion value. 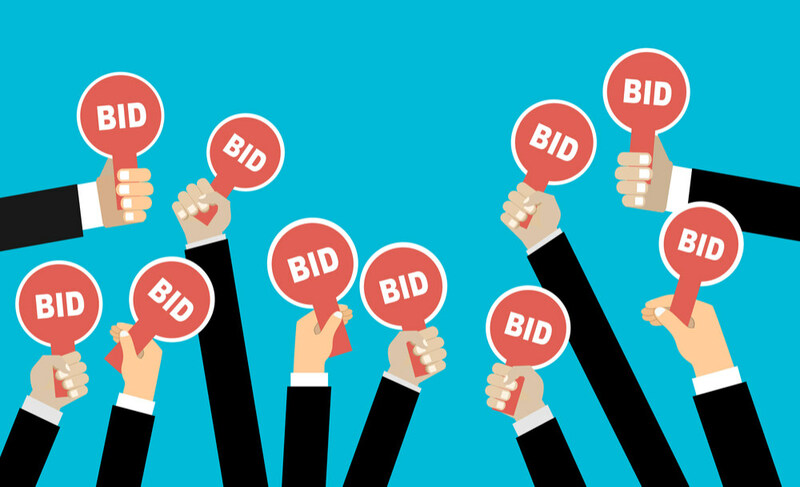 Be careful, however, as automated bidding is not as automated as you might imagine. Some PPC experts explain that automated bidding can prove to be misleading. This is because it does not automate every aspect involved in bid management. Even Google says that targets must be adjusted based on several factors that their automation system might fail to consider. In the early days of AdWords, bid management was largely about cost-per-click. Today, however, it has evolved into a target-based system. These targets account for different factors including return on advertising spending, cost per action, or outranking specific competitors. As you can imagine, these factors are some of the most important things considered by businesses in order to succeed. Introducing these targets into Google Ads means less manual calculations for advertisers. However, these targets are not set in stone. To get the most out of Google’s automated bid systems, it is a must to have somebody who knows everything that is going on in the business to make the necessary adjustments to the targets. Google uses different signals when you use smart bidding strategies including Target ROAS, Enhanced CPC, and Target CPA. These signals include location, language, and device. The predictions are then used by the automated bid system to determine which clicks would yield the highest conversions. Google has come so far when it comes to using various factors that influence conversion rates and conversion values. These factors are often applicable to advertisers from different industries. However, their automated system is far from perfect. It still fails to consider unique factors that may only impact your particular campaign. To enjoy the best results, you must use these automated bidding strategies with effective management techniques that make necessary changes to your targets based on conversion factors that are unique to your business. There are many things that can influence the performance of your ad campaigns. The list includes social media buzz, mainstream media coverage, and flash sales. Google’s machine learning may fail to see these factors, however, which means you may not be getting the optimal results from your campaign. You must take a more active role in bid management instead of simply automating everything. Do you have a website with hundreds or thousands of web pages? Or perhaps you have an online store with lots of different products? If so, then you know how challenging it can be to align your search ads with what you currently offer. Google offers an exciting solution to this problem: Dynamic Search Ads. This campaign type is an automated solution that allows you to target ads to the most relevant search queries. Dynamic Search Ads work by leveraging the power of Google’s organic search index. The machine learning algorithm finds instances of when a particular page on your website would be a good match for a relevant search query but it does not currently trigger any ads. As the website owner and advertiser, you have the option of including all the web pages on your website or only those in a feed. Google uses this data to automatically target the ads and show them with an automated headline. As you can imagine, this makes it immensely easier to manage your search ads without going through every single page on your website. When using Dynamic Search Ads, you can decide to set up an automated bidding strategy. But you also have the option of managing bids manually for greater control. Where things could get tricky is in optimising structured data. Since this campaign type derives data from the organic search index, you must optimise your website content to give your web pages a better chance of ranking, which in turn, means more chances of generating search ads for relevant search queries. 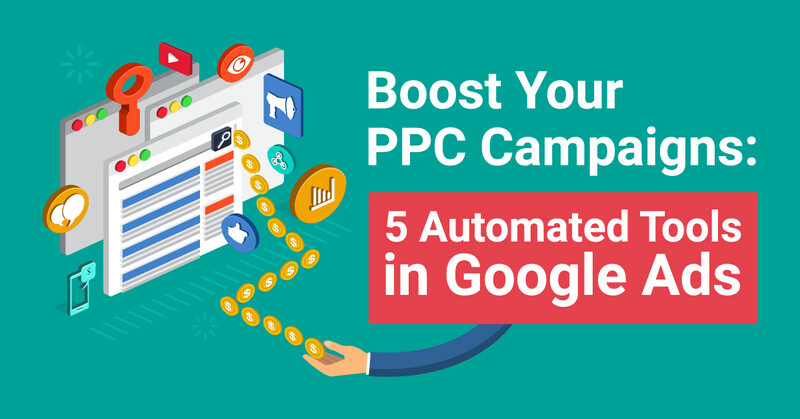 These five automated tools in Google Ads should only serve as your starting point in automating your campaign management. There are plenty of other features to explore in Google Ads including automatic ad extensions, using broad match keywords to show ads, and optimising ad rotation. All of these features are meant to help you manage your campaigns better and improve results without investing more money and resources. Remember, though, that these automated tools are only as good as how they are used. It would be futile to use these features just for the sake of trying them out. You need to invest enough time into learning these tools and what they are specifically designed for. Keeping track of your results is also important in making changes to your campaigns, especially if you fail to see the results you expect. While most automated strategies in PPC management come with the word “smart,” keep in mind that the human brain is still smarter than Google’s machine learning algorithm. 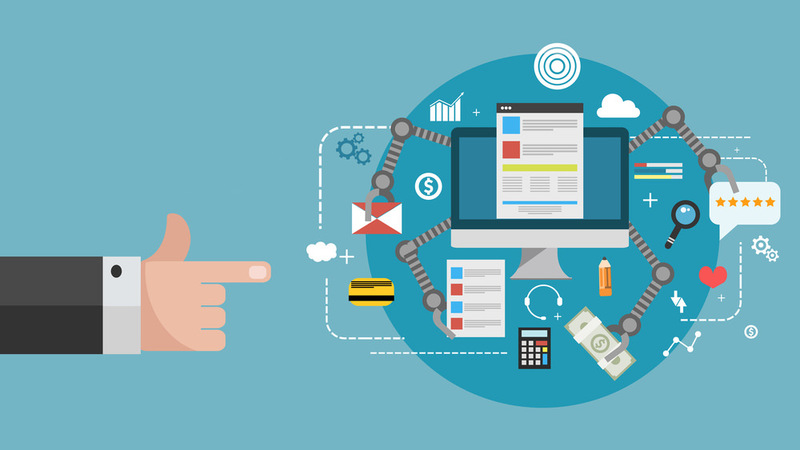 Sure, these automated systems enable you to spend less time managing your campaigns, but entering the world of PPC blindly will only hurt your finances in the long run. Regardless of how impressive Google’s machine learning is, it is still in its early stages. There is still a lot of room for improvement, so you must exert time, effort, and energy to bring out the best results. The good news is that Google continues to hint at future updates to its ads and analytics products. New campaign types are set to be released, all of which leverage machine learning to help you speed up the process of creating and managing PPC campaigns. You should still expect some manual intervention, but things are certainly looking brighter for PPC practitioners. And in case you didn’t notice, Google’s machine learning is heavily dependent on structured data. This means the search engine giant still considers content as the most important factor in achieving their goal of delivering the most relevant results to their users—be it organic search results or paid ads. Regardless of the automated tools you use for your campaigns, it is necessary to take a step back and evaluate your content. Without quality content in the first place, automating your PPC campaigns may prove to be a waste of time and money. It’s safe to say that content is still king even if automation seems to be the hottest buzzword in the digital marketing world.